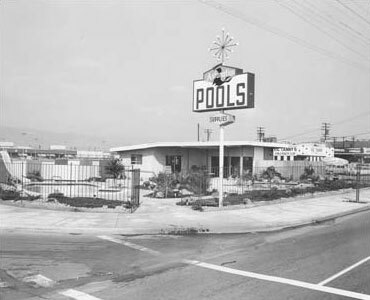 Aladdin Equipment Company is proud to be serving the pool and spa industry for over 65 years, we have become the company that many others imitate but never duplicate. Our catalog and cross-reference guide have become the industry standards. 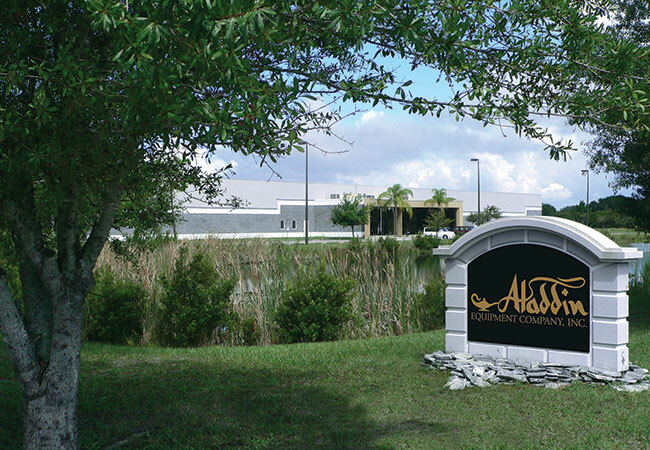 Aladdin manufactures the most extensive line of baskets, gaskets and O-rings in the industry, together with our Aladdin exclusive Magic Lube®, PSR® Seal, WorldPool® Cartridges, have made Aladdin Equipment the industry leader. We want to thank our valued customers for their role in our success and we will continue to provide you with the highest quality products and services. Aladdin Equipment Company was originally located in Los Angeles and Orange County California. Click on the photo above for a closer look. 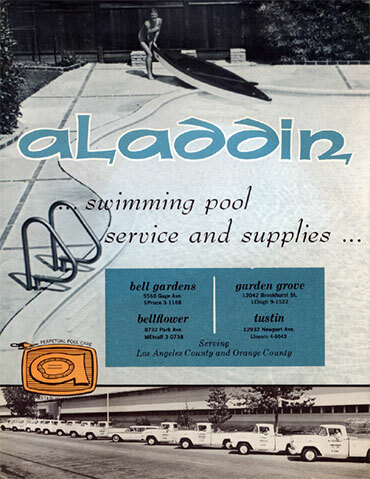 Aladdin brochure from the 1960s. 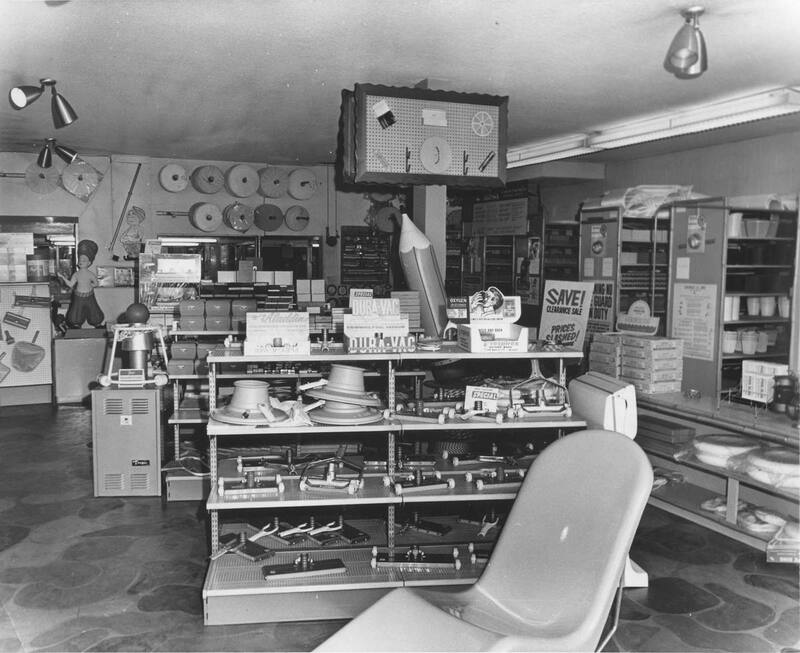 This is an interior photo of the Aladdin store. Click on the photo above for a closer look. 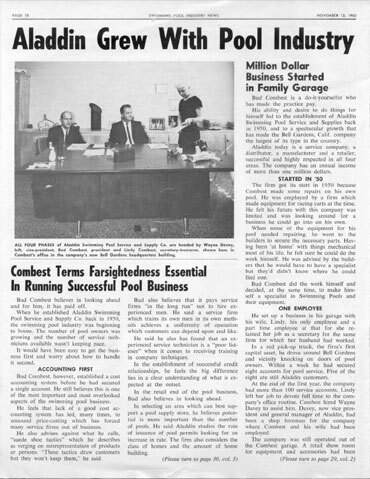 of our company in the November 1963 Pool News. 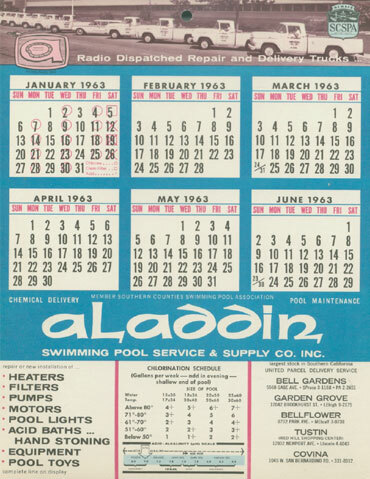 Click the image above to download a pdf of the Aladdin calendar from 1963.